× 1 = 3 Required Please enter the correct value. Following a string of recent acquisitions that include a mobile messaging app and a virtual-reality company, the social networking giant is now looking to move into mobile payments. The Menlo Park, Calif.-based company is just weeks away from obtaining Irish regulatory approval for "providing financial services in the form of remittances and electronic money," according to the Financial Times. Authorization from Ireland's central bank to become an "e-money" institution would permit Facebook to issue units of stored monetary value that represent a claim against the company. The e-money would be legal across all 28 European member states through a process called "passporting." In short, if given the regulatory green light, Facebook's new bank-like services would allow users to store money on Facebook, use it to pay for purchases, and exchange money with others. The move would increase Facebook's presence in Ireland, which has been growing. Late last year, FB doubled its office space in its international headquarters of Dublin, allowing for ample room to expand and grow its employee headcount of 500. Venturing into mobile payments is part of Facebook's plan to boost its presence in emerging markets as well as Chief Executive Officer Mark Zuckerberg's mission of connecting the world via Facebook. "Only one third of the world's population has access to the internet today…helping more people to get connected is important to developing the global knowledge economy," Zuckerberg said in January. "Facebook wants to become a utility in the developing world, and remittances are a gateway drug to financial inclusion," a person acquainted with the company's strategy told the Financial Times. Just last week, Facebook announced it had collected 100 million users in India, making it the largest national market outside the United States. 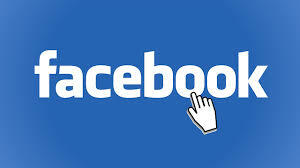 The goal now is to accumulate 1 billion users, according to Javier Olivan, the FB official in charge of global growth. Facebook started as one thing (social media), but now must become something entirely different (new) in order to maintain its high earnings growth rate. No place or no business venture can be overlooked as a possible new acquisition at just about any price. So, one of two things will happen: Mark Zuckerman will find the next gold mine or he will eventually run out of chips, most likely when the overall stock market turns bear and his stock is no longer worth a premium. Public sentiment will have to turn negative before any of this could occur. So, again, Facebook has time but not unlimited time to find the next "big thing".